That’s my verdict on Hull’s first day as UK City of Culture 2017 and I doubt there will be many, if any, dissenters from that view. 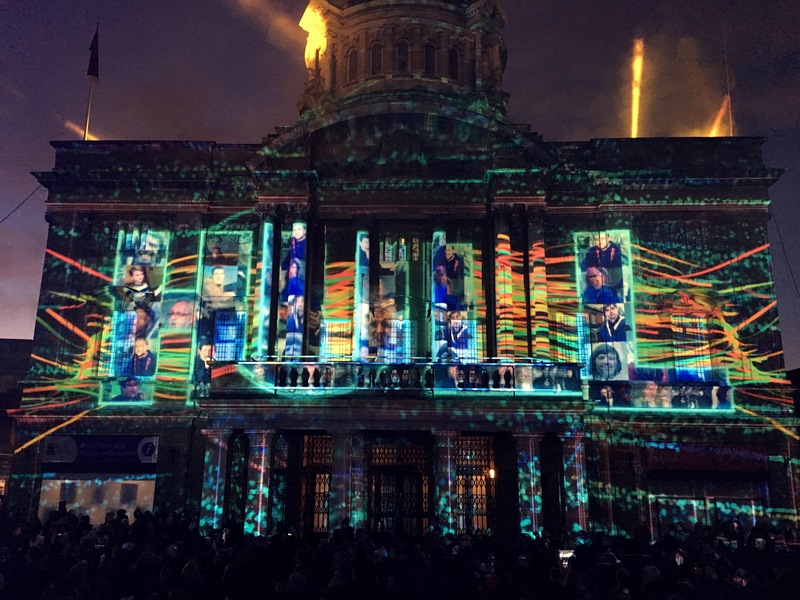 After almost three years of planning, Hull’s year of years is finally upon us and it has had a superb start. For most people the highlight will have been the “In With A Bang” fireworks display which promised to outdo London’s New Year pyrotechnics. It certainly delivered on that ambitious aim. Now fireworks don’t really float my boat – or barge, in this instance – but they attracted huge numbers to experience City of Culture’s debut day. 25,000 tickets were claimed for vantage points on Hull Marina, with many thousands more watching along the north and south banks of the Humber or online via the City of Culture and BBC Humber websites. It was an unabashed crowd-pleaser – and what’s wrong with that! It delivered a party experience to begin a year billed as a party for the people. But, for me, day one had a big tick from the opening moments of “We Are Hull”, a remarkable light and sound show projected on to landmark buildings in Queen Victoria Square as part of the “Made in Hull” City of Culture curtain-raiser. 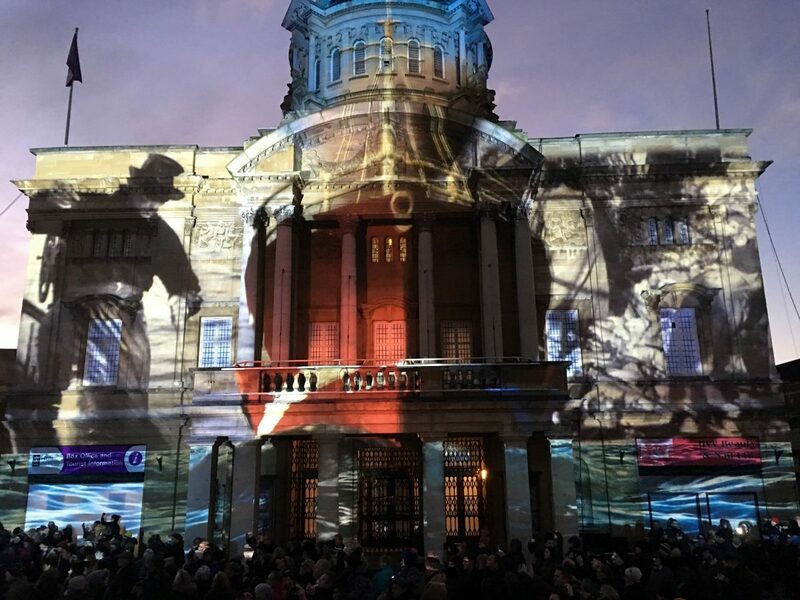 Telling Hull’s story over the past 70 years, from the devastating Hull Blitz to the Siemens investment, it was powerful, poignant and emotional – a total triumph. 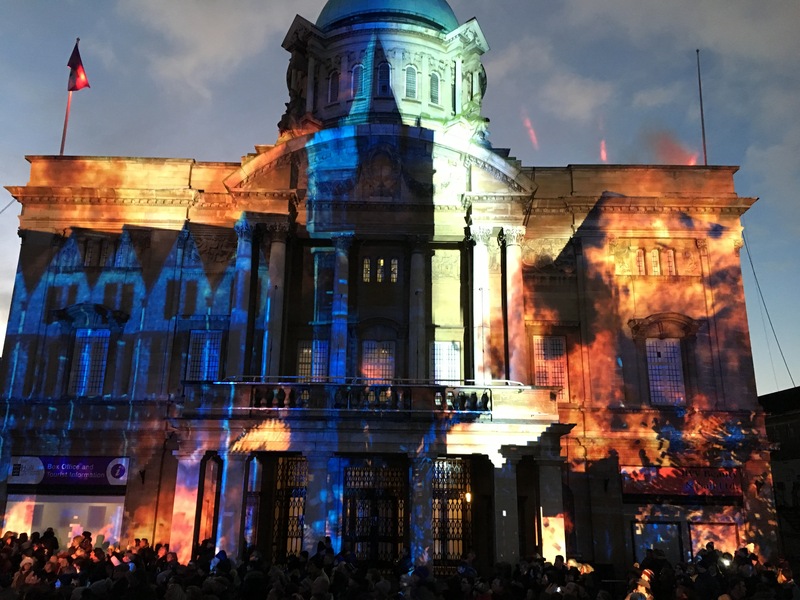 Hull hasn’t just hit the ground running as UK City of Culture, it has sprinted out of the blocks. One day over. 364 more cultural – and crowd-pleasing – days to come! Has Dead Bod found a permanent new perch?